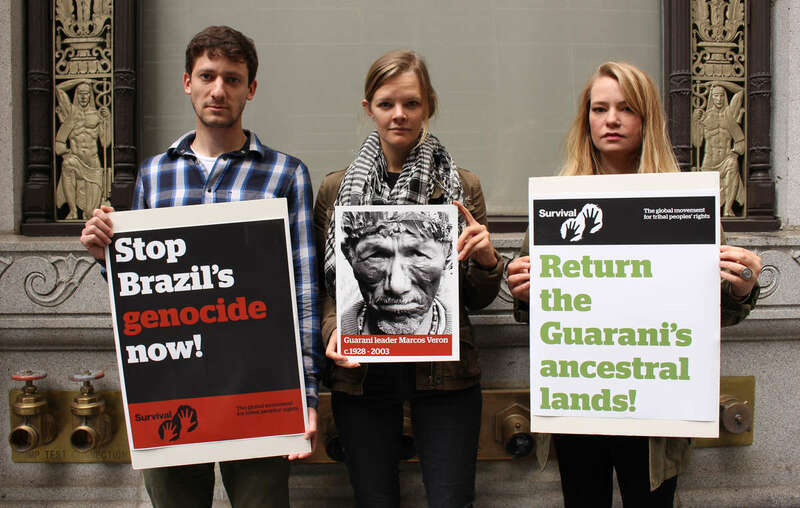 A global wave of protest organized by Survival International has called for a halt to the destruction of tribal peoples’ land, lives, and human rights in Brazil, on the country’s Day of the Indian. 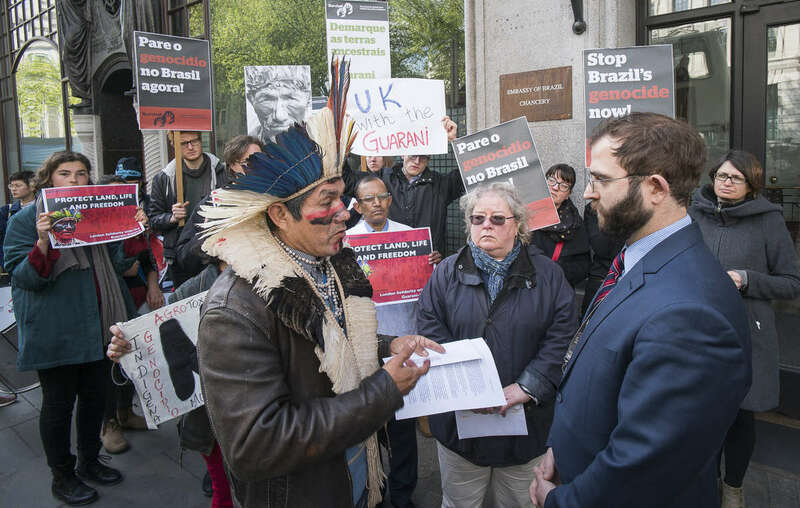 Survival supporters and members of the public demonstrated at the Brazilian embassy in London, demanding land rights for the Guarani and other tribes across the country. 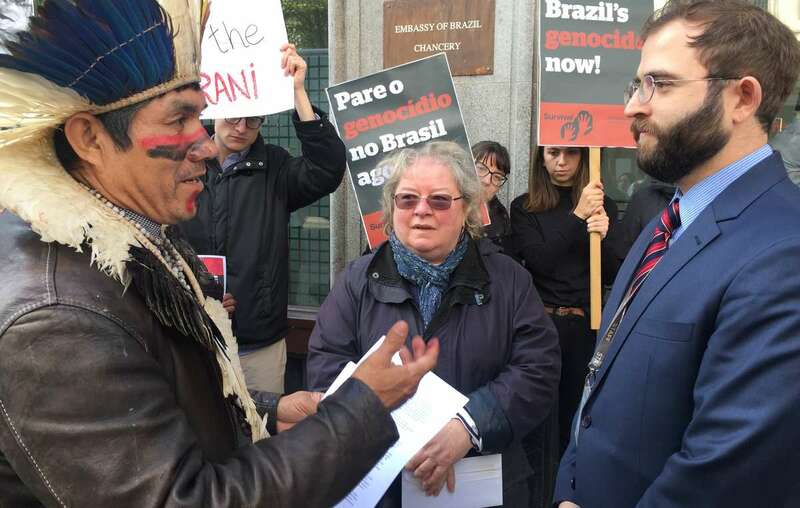 They were joined by Guarani activist Ladio Veron. 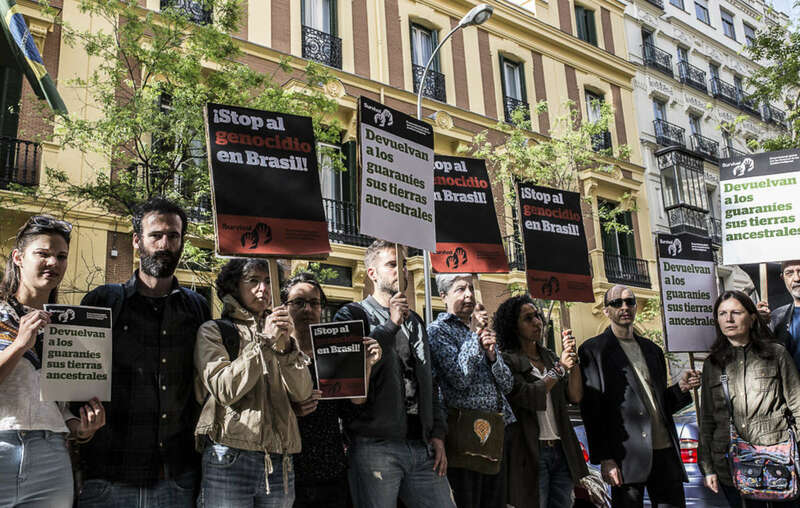 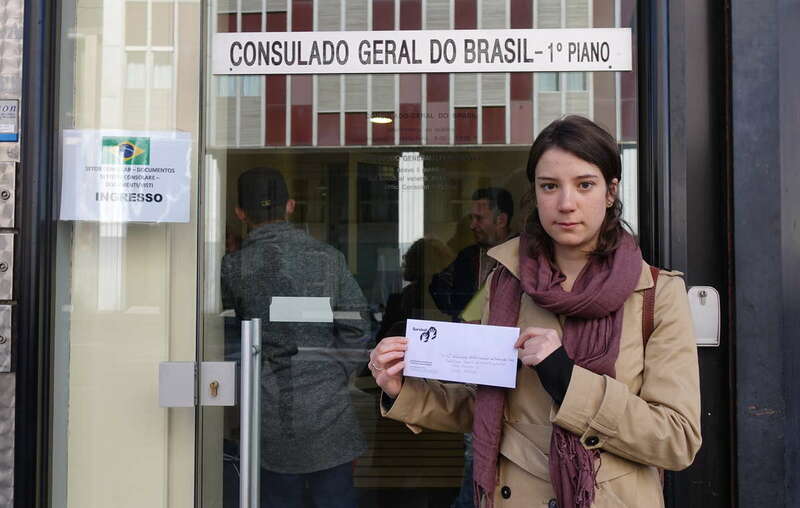 Protest actions also took place in Brazil, the United States, Spain, Italy and Germany. 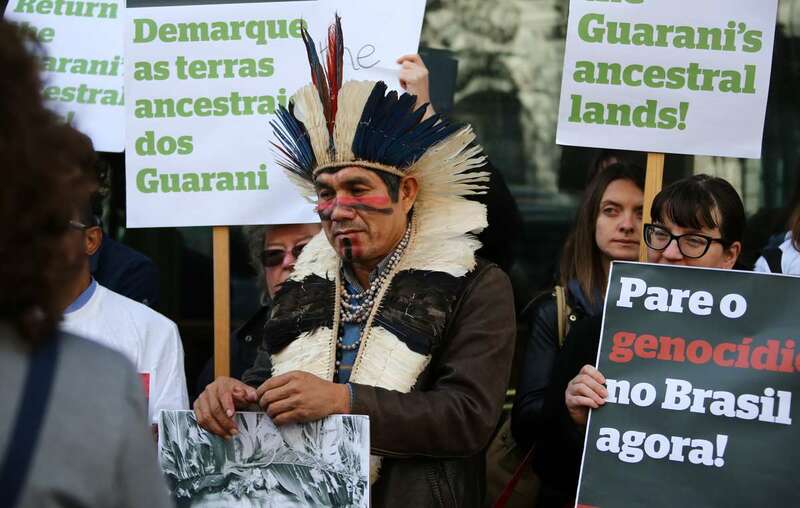 Ranchers and agribusiness have forced the Guarani off their ancestral land in central Brazil into lives of poverty. 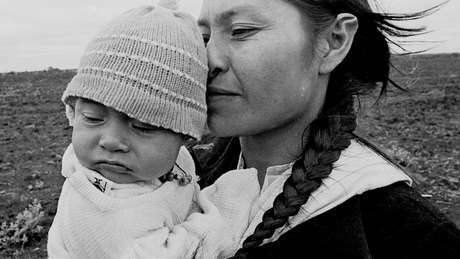 Many are forced to live on roadsides, drinking polluted water and living in makeshift camps. 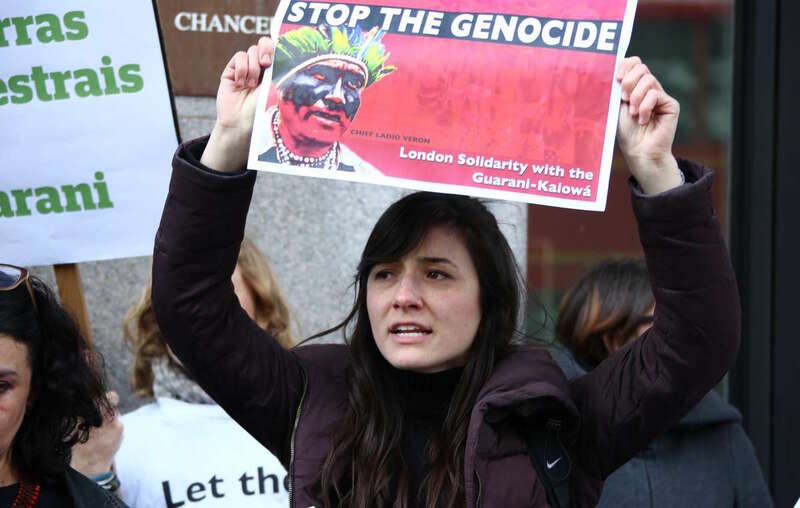 Survival supporters and Guarani allies joined Guarani leader Ladio Veron at the London demonstration. 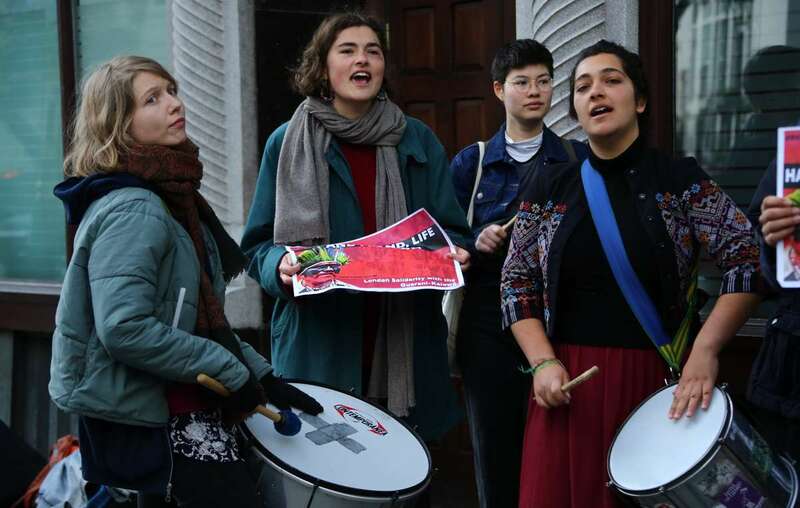 Their plight has been described by the UN as a humanitarian crisis. 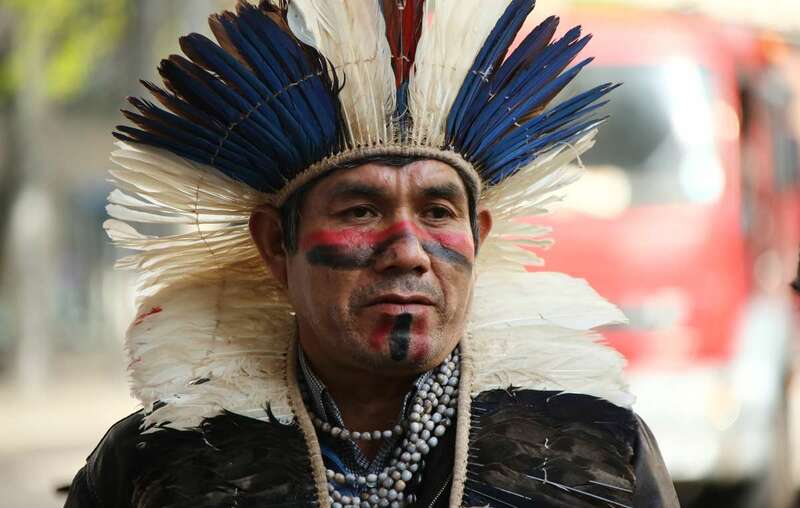 The tribe also suffers the highest suicide rate in the world. 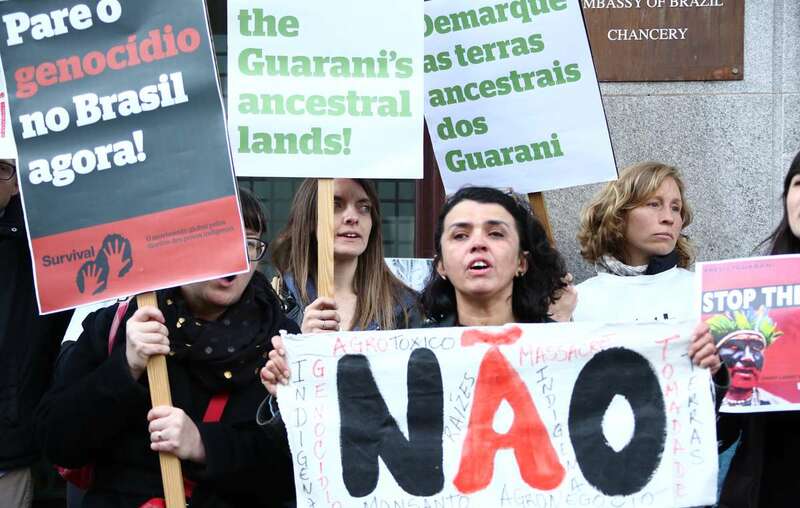 The Guarani face harassment by gunmen hired by ranchers and other powerful vested interests on an almost daily basis. 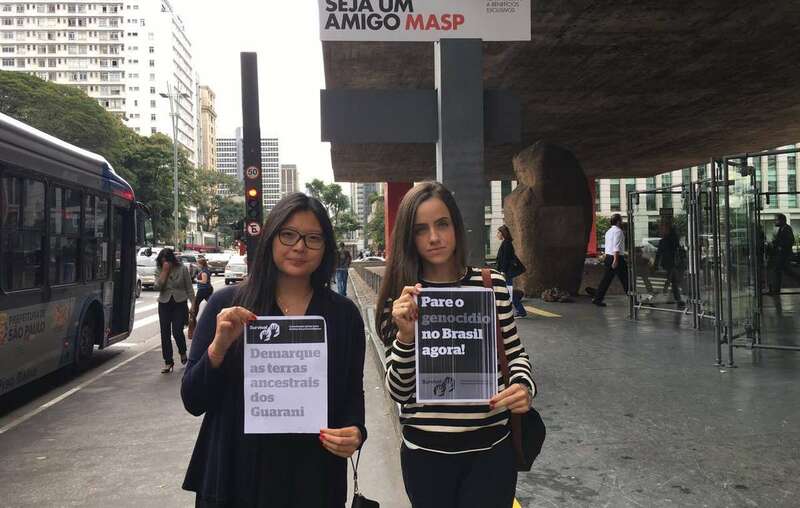 When they try to reoccupy the land which is rightfully theirs under Brazilian and international law, they frequently suffer violent reprisals. 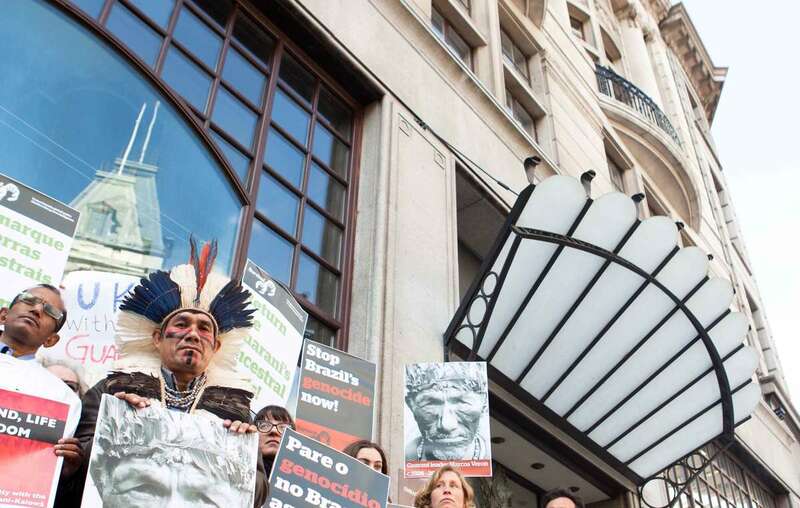 Tribes nationwide are forcefully opposing a wave of anti-indigenous proposals currently being debated by politicians. 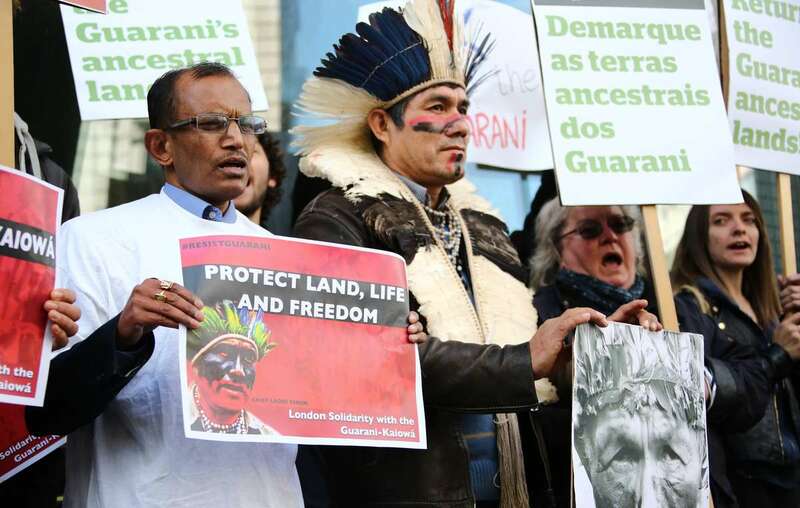 If passed into law, they could give anti-Indian landowners the chance to block the recognition of new indigenous territories, and break up and steal existing ones. 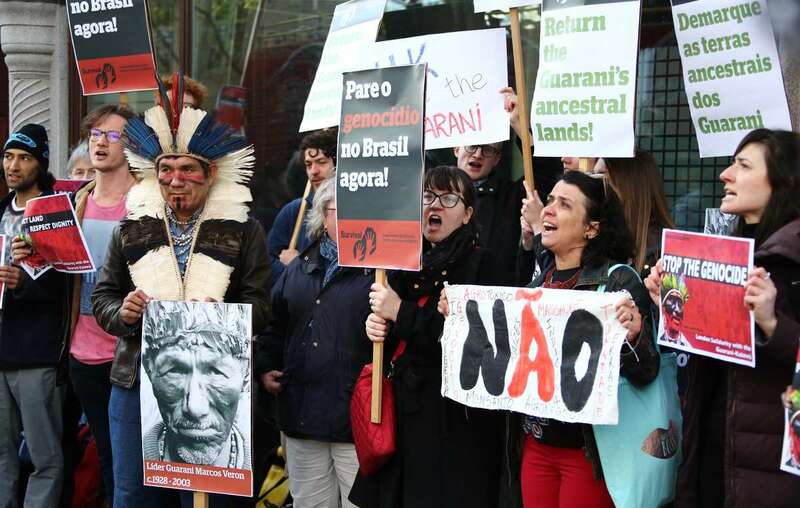 This would be disastrous for Brazilian tribes, and could lead to uncontacted tribes being wiped out. 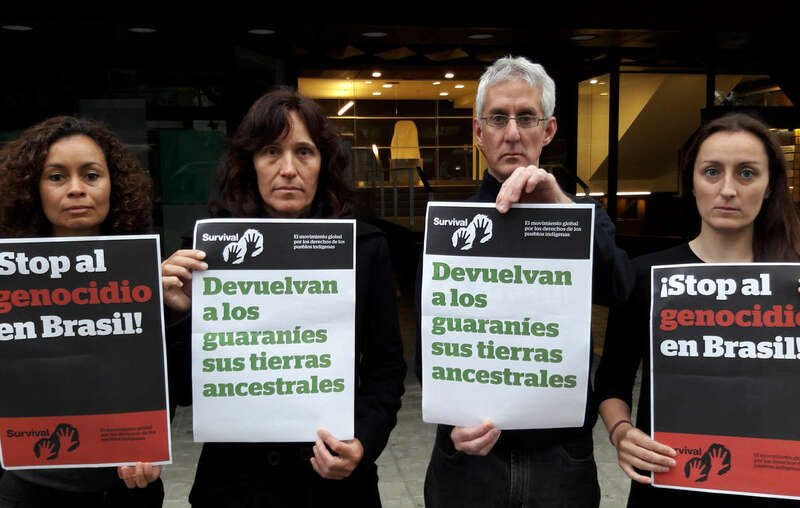 Survival International is leading the global fight for tribal peoples’ land rights. 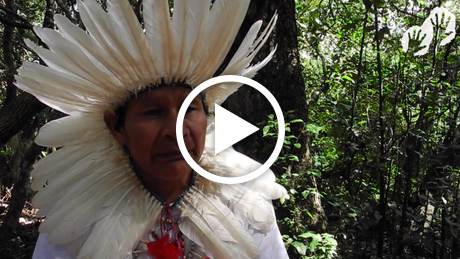 The theft of tribal land destroys self-sufficient peoples and their diverse ways of life. 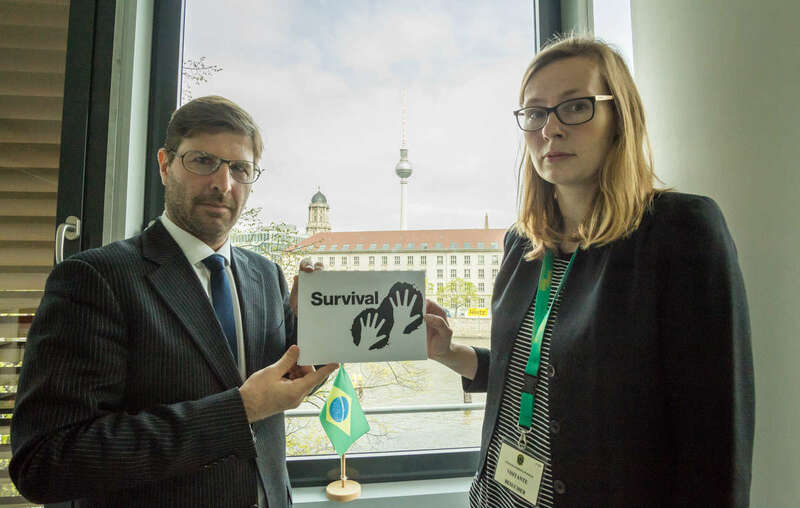 It causes disease, destitution and suicide. 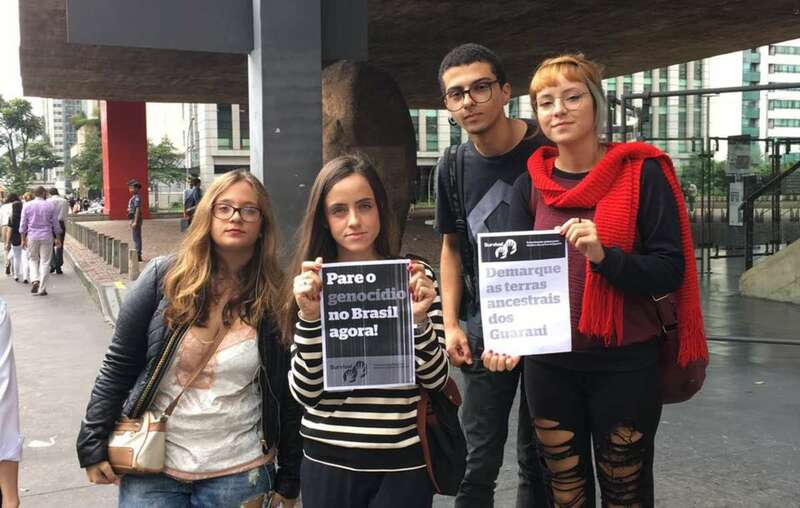 The evidence is indisputable.